Aquatica’s Olivia HydroRelax corner tub is a modern and aesthetically pleasing bathtub with a deep and ergonomic interior. You may choose between two sizes: 140 cm (55") or 149 cm (58.75"). A powerful 2HP pump delivers a six jet back massage, or you can use the mechanical diverter to divert water pressure from back massage nozzles to the foot massage or side massage nozzles. 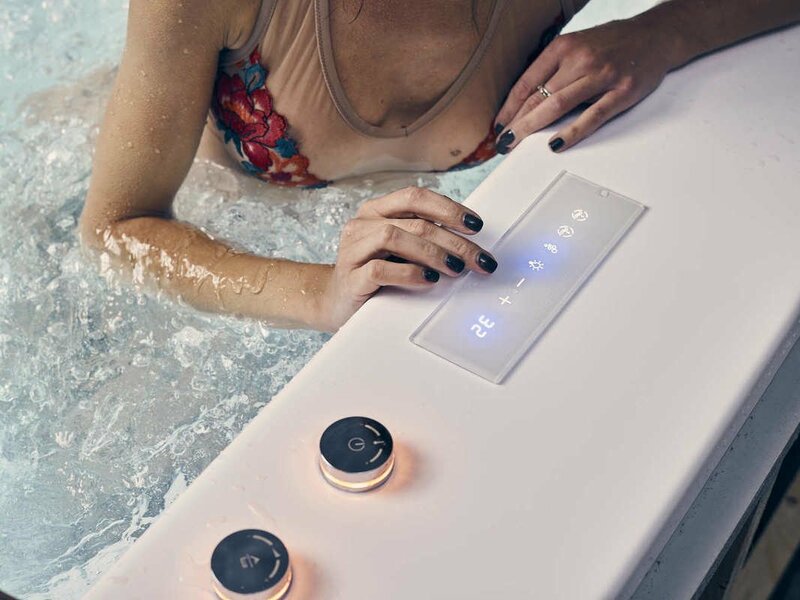 The Olivia HydroRelax includes variously advanced, top of the line additional features like the Air Assist Turbo Massage (AATM™); Underwater сhromotherapy Lighting; Water Heating with Temperature Control (non-UL version solely); the optional Bluetooth Enabled High-End Audio System with Stereo Speakers and a Subwoofer. 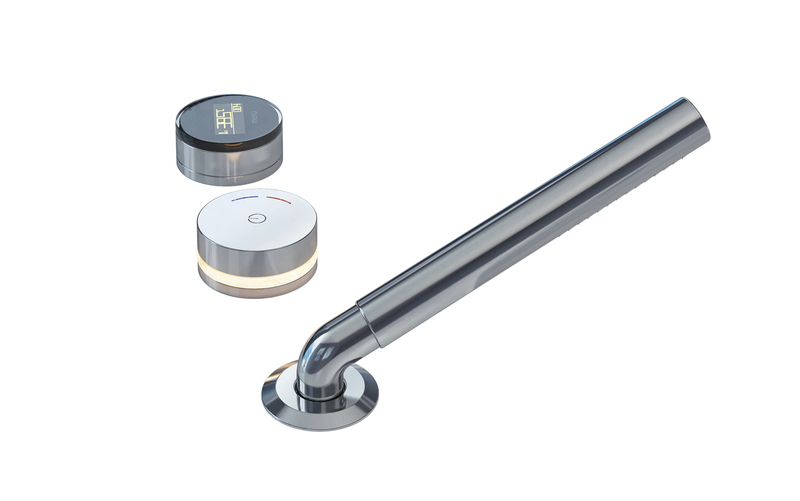 The optional Multiplex Trio electronic bath filler with thermostatic valve and built-in hand shower are optional extra items for the Olivia HydroRelax. Among the many other aesthetically attractive features of the new Olivia HydroRelax is the modern, sleek looking and truly low profile SlickLine jets that are flush with the bath walls. The SlickLine jet front plates are exclusively made from chrome plated solid brass with perfect surface finishing, ensuring durability and long life. The international version of Olivia HydroRelax is equipped with an exclusive, state of the art capacitive glass wireless keypad. Powerful pump driven therapeutic back massage is a distinctive feature of Olivia HydroRelax. Air Assist Turbo Massage (AATM™) provides a stronger and more intensive back hydromassage. 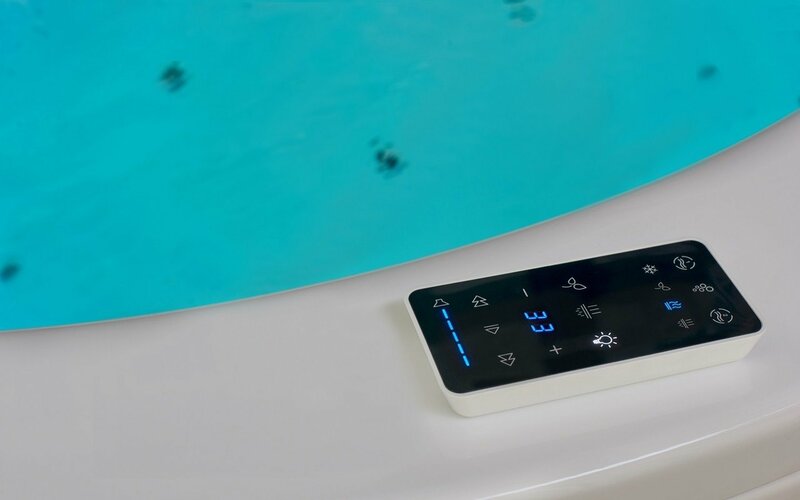 The 240V Hydrorelax bathtub features advanced bath controller with water recirculation, temperature control and modern capacitive glass keypad. 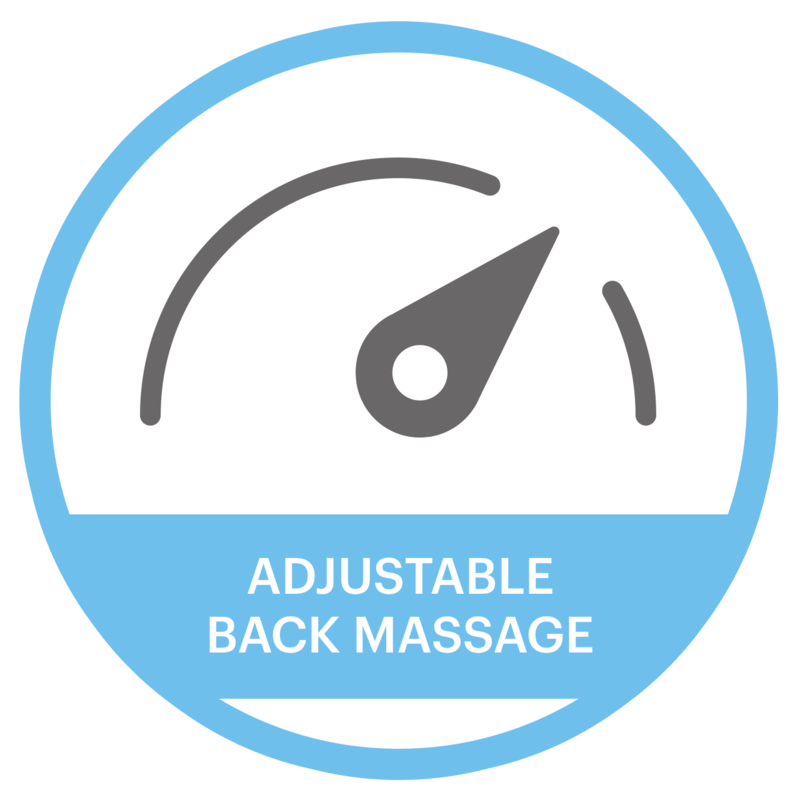 Aquatica hydromassage baths offer more control through the unique adjustable back massage (ABM™) system. Custom designed water diverter placed on a bath rim allows for a smooth manual adjustment of the back-massage intensity from full power of back-massage intensity from full power of back-massage to no back area massage at all. 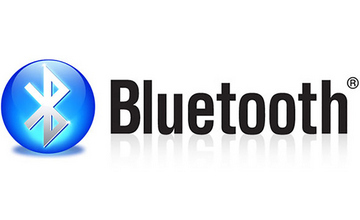 Individually swiveling back massage nozzles provide additional level of control.